Sometimes it’s hard to remember that it wasn’t too long ago when not every single human had a smartphone in their face. However, according to Search Engine Watch, a website that provides information and news about search engines and search engine marketing, mobile Internet traffic is much higher now than personal computer Internet traffic. Yelp has reported that 55% of all their searches are from mobile devices. So, it is very important to optimize your website for mobile devices. It has been said that users feel annoyed and frustrated when they go to a website that is not mobile-friendly. They would quickly abandon the page, and move on to another site. A website that is not optimized for a mobile device will usually take a lot of time to load, and once loaded, it usually will present you with a jumbled load of unorganized information. Tiny fonts, broken pages, missing pictures, no option for page navigation, and so on will definitely leave a user uninspired. A website has a limited amount of time to capture the attention of a user. Most of the mobile users access the website on the go. Time is limited for such users. They will not wait more than a few seconds for the page to load. A website that is not mobile optimized usually takes forever to load, and sometimes, does not load at all. A mobile optimized web page will load quickly as the code is structured in such a way that it is compatible with mobile devices. In 2015, Google announced that its new algorithm favors mobile-responsive websites. Google already has a mobile-friendly label in place that informs the users whether a site is a mobile website, or not. 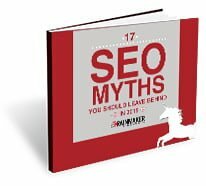 Generally speaking, users will not even click on your website link that comes up in a Google search, if it is not optimized for mobile devices. Following are some more points from the Google study that emphasize the need for optimizing a website for mobile devices. Users are more likely to buy from a mobile-friendly website than a non-mobile friendly website. Users often return to mobile-friendly websites. Users do less business with a company if their website is not mobile-friendly, even if they like the company. You can either convert your web site to be mobile-friendly or create a parallel site for mobile users. The advantage of a parallel site is that you can customize it for the mobile users.